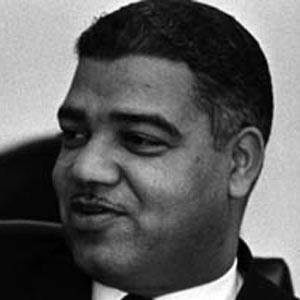 Civil rights leader during the 1960's who was a power advocate against employment discrimination, the President of the National Association of Social Workers, and the Executive Director of the National Urban League. He was a member of Alpha Phi Alpha fraternity at Kentucky State University, a historically black institution, where he graduated in 1941. He was married to Margaret Buckner from 1946 until his death. His mother was Laura Young and his father was the president of the Lincoln Institute. His plan to bring monetary federal aid to cities was influenced and was partially included in Lyndon B. Johnson's War on Poverty.